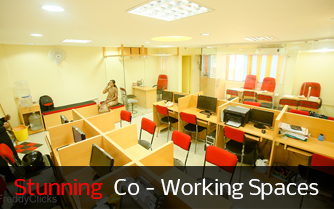 Premium office space at nominal rates! CCTV Surveillance at no additional cost! 24 x 7 availability, prime location, etc. for start ups and aspiring companies in Chennai. 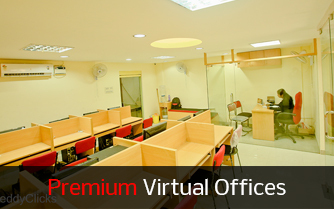 PRObit Virtual Office is an office without the physical presence of desks and chairs. You have a prestigious address for your business. No one needs to know that you don't actually have an office, particularly when you can hire a meeting room whenever you need one. 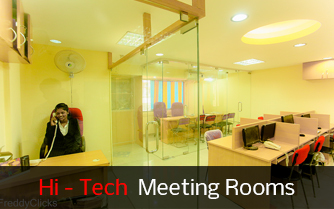 PRObit Business Centre’s meeting rooms will provide you with the ideal environment to host your business meetings with associates and clients. PRObit Business Centre’s Co-working Spaces are designed to provide flexible use of space supported by uninterrupted internet connectivity. It is ideal for those who need dedicated plug and play workstation on a monthly basis to work flexibly. Our attractive pricing and transparent offering will enable you plan effectively according to the business requirement and help you choose from the desired pricing plans. Once you plan and confirm, we get into a simple and flexible contract as per the desired pricing plan in the mutual interest of both parties. The contract becomes live on the effective date mentioned in the agreement and promises you a premium office location backed by unrivalled service levels. PRObit Business Center offers affordable state of the art office facility comprising of virtual offices, meeting rooms and co-working spaces with shared common areas. 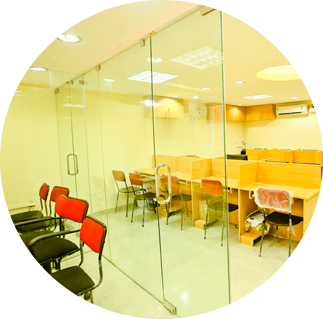 PRObit was formed in the year 2005 and offers affordable state of the art office facility comprising of virtual offices, meeting rooms and co-working spaces with shared common areas. We can accommodate multiple companies of different sizes and provide comfortable and stylish virtual office space, meeting rooms, co-working spaces and other business services on demand for short, medium or long term use.